Amateur golfers typically complain about hitting it off hardpan, you know that dried out ground with very little grass on it. 1. At address make sure the ball is slightly back of your stance or just inside your right foot. This means you will have to hit down on the ball at impact. 2. 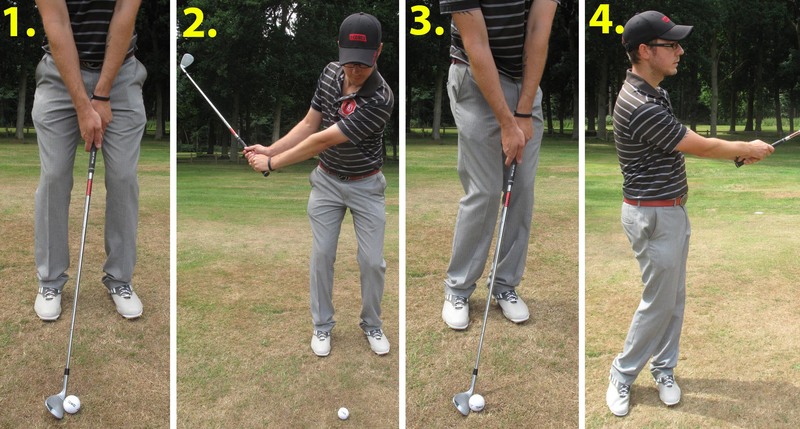 On the backswing bring the club up steeply, rather than having a shallow take away for a normal shot. Try to hinge your wrists to help compress the ball through impact. 3. Try to come into the ball at impact with a steep angle of attack with your body weight and shaft pushed forward. This will decrease the chances of hitting the turf before the ball and de-loft the clubface for a lower, more controlled ball flight. 4. The initial backswing should be at most a three-quarter swing so the follow through will follow suit with your hips facing the target. Firm wrists are vital for the hard ground.